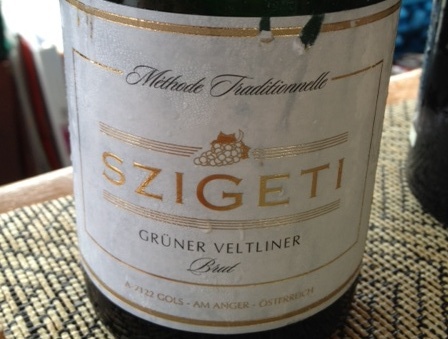 The Szigeti Gruner Veltliner Brut, Austria, NV. Obviously many of those comments are far more nuanced than we can detect but the citrusy aspects made for a great start to the tasting event. This entry was posted in Champagne and tagged Austria.